Almost two years ago I started reading the Bible everyday. It was at a time in my life where everything I was working towards was working against me. 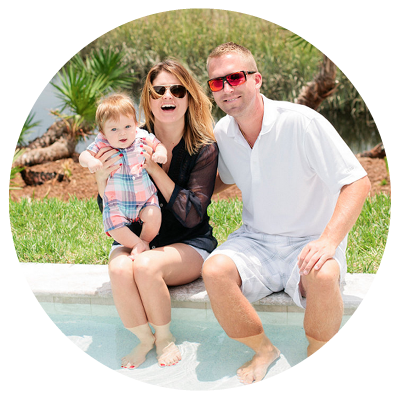 Eleven years into our marriage, after the birth of our son, while I was still trying to manage my role as “the boss” in the growing company I had founded before motherhood, I was miserable. Self-doubt consumed my thoughts, exhaustion overwhelmed me, our marriage was suffering and I thought “this is not the life God planned for his daughter,” and then it occurred to me in all of these new things in my life, I had left God out of them. I had it all wrong. I sought encouragement from business books, followed other entrepreneurs on Instagram, got up earlier and earlier to crush my to-do list, yet I rarely spent time in prayer, I never opened my Bible, I had zero fellowship with other Christians, and we hadn’t been to church in years. I was empty and the only thing left in me was an overwhelming feeling that I just needed Jesus and that God was calling me to invest my time in the Scriptures. Because I’m a graphic designer, list maker and generally pretty organized, I turned the weekly to-do list I had designed for myself into a daily one that split my to-dos between “God, family and work” so I could visualize on paper where my priorities were each day. I wanted to find the harmony between my role in our household as a wife and mother, my faith and also my desire to lean into my career ambitions…. without letting one area become neglected as I was currently battling. Over the last 18 months I have used that daily planner (printed and bound at Staples every 3 months) to make a habit of reading the Bible every morning and letting that study lead my prayers, reaffirm my faith and help me grow confident as a wife, mother, business owner and Christian. When I tell people now that I read the Bible everyday, they look at me in amazement (mostly shock) and ask me “How?!!? How do you find time for it! ?” And I say this: I simply made a space for it on my calendar and remained committed to my daily “appointment” with God. However sterile that my sound here on this blog, I can assure you what started out as something I needed to do, has now become something I want so badly to do each day. It has made me realize that no amount of planning or organization…. or crushing, or hustling, or competing, or dreaming …can hold you together like the glue of God’s grace. Absolutely nothing compares. As the pages and my faith have matured over the past 18 months, I realized this planner was meant for something much greater than my own personal use. It’s meant to serve you too. In the last year, between growing St. Augustine Social, negotiating and managing the sale of The Celebration Society, launching Littleature and writing two children’s books, I took what I know about publishing and design and used it to move the production of this planner from my local Staples to a mass production facility on the other side of the world so maybe it could change your life too. 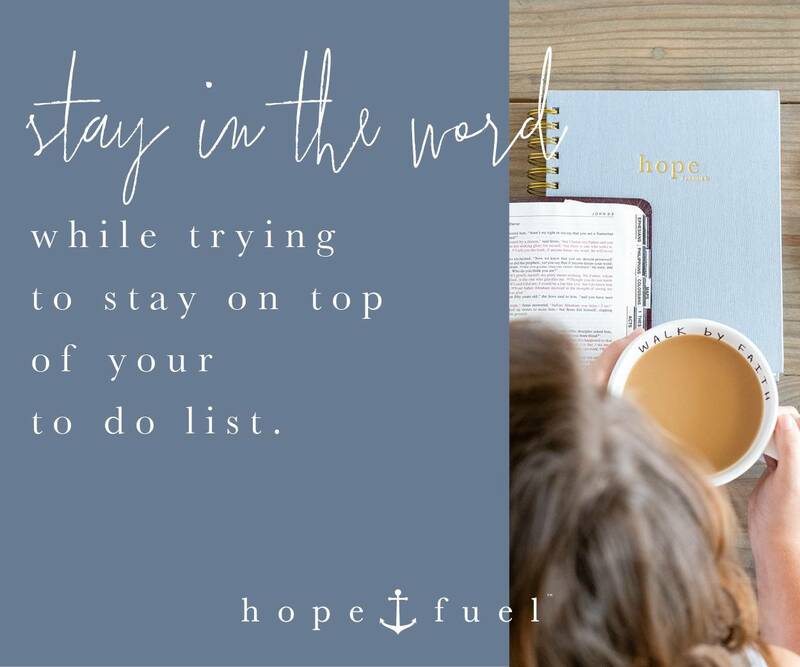 Today, I am humbled to introduce to you our latest brand, Hopefuel – a faith-based publisher of workbooks, planners, and journals and most importantly, home of the Hope Planner. 1 – TO HELP YOU STAY ORGANIZED. 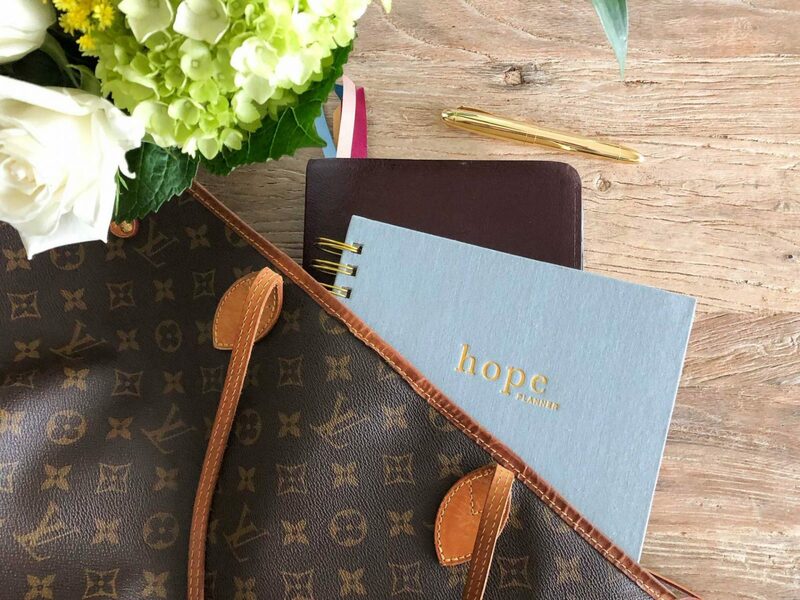 Like a traditional agenda or daybook, it’s a place for you to keep track of all the priorities of your daily life – tasks, appointments, shopping lists, reminders. In addition to that, I’ve added my personal system of weekly “big picture” planning and monthly goal setting as well as progress tracking that has helped me keep my family and company on track. 2 – TO HELP YOUR FAITH GROW STRONGER. Unlike a traditional planner, its primary purpose is to help you make a place for Bible study and prayer in your daily life. Because it is your trust in God’s direction that is the ultimate peacekeeper in our lives. This planner is not a Bible study – it is a tool you should bring with you to Bible study. There are no pre-selected Bible verses for each day, instead blank designated space for scripture and prayer. I know that everyone’s journey is unique, so I wanted it to serve as a clean slate you can use during each phase of your life, where you can pair it with the scripture you are being led to study at that time. A few key features to note…. It is undated so that you can begin devoting yourself to daily bible study among all the other things on your to-do list at anytime. It has a 6 month layout out because I just don’t feel like I want to carry around 12 months worth of paper at a time. It is 6″ x 9″ linen wrapped hard cover with gold foil. So beautiful! For women who are craving a way to be more “in Christ” in real life I can tell you based on my own personal experience that starts by spending time “with Christ” everyday. 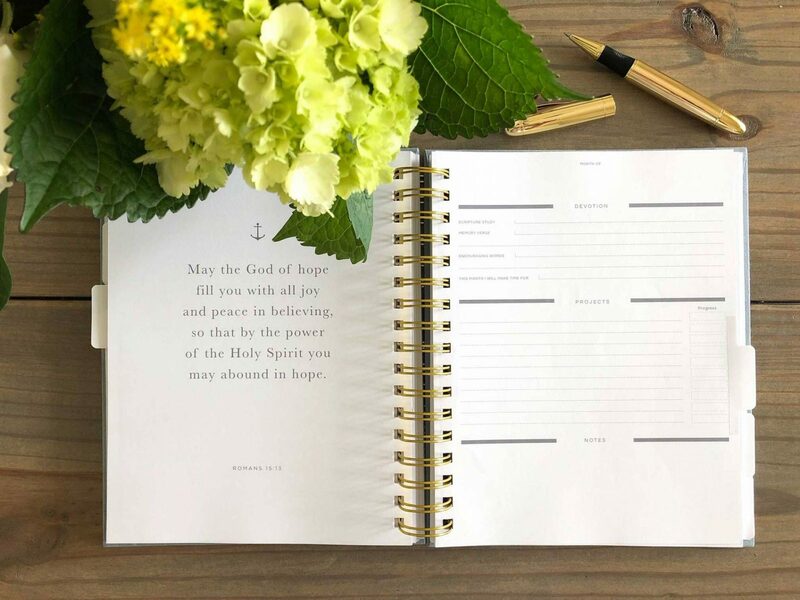 The Hope Planner helps you prioritize your daily devotions before you ever tackle the to-dos and serves as a subtle reminder throughout the day that God is with you, wherever you are. We are now accepting pre-orders for the first batch of planners currently being produced. They are $34 each and will be shipping in October 2018. 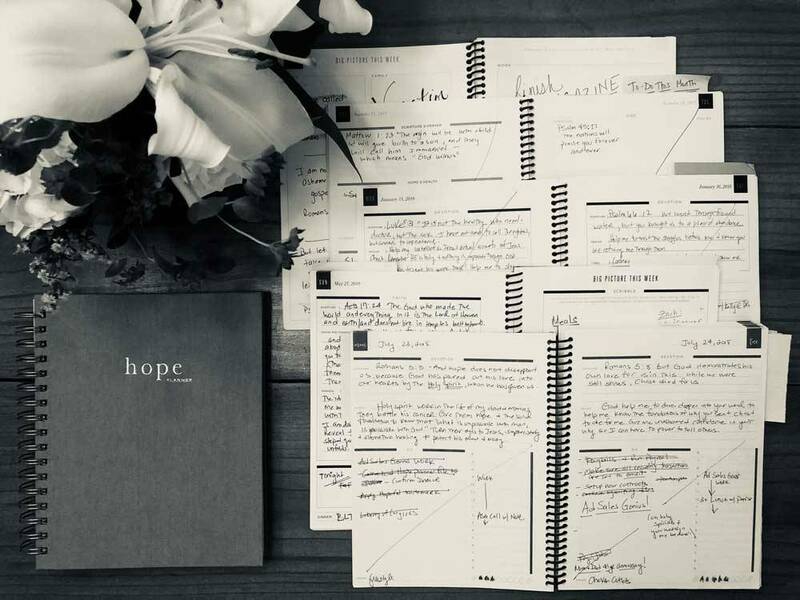 I don’t know where this brand will grow or how many people will use the Hope Planner like I have, but I can tell you I am leaning hard into the direction of God in my life these days because of it… and if I can help one person or one thousand do that too, I will have succeed beyond my wildest dreams. Here’s a direct link to our new Hopefuel.co website and the Hope Planner.